Digital innovations in the healthcare industry, also known as “healthtech”, are technologies that are either revolutionizing or predicted to revolutionize the industry. The healthcare industry is a great testing ground for digital innovations, because the goal is to make a lot of medical procedures easier to perform, and easier to obtain. This doesn’t mean futuristic robot surgeons – although that is something we’ll talk about later. But innovations can be as simple as virtual reality training for healthcare professionals. So we’re going to explore some modern digital innovations that are currently being employed in the healthcare industry, and future technologies that are predicted to have impact as well. We’re only going to highlight a few digital innovations in the healthcare industry, but there are a lot of them out there worth reading. To read more about digital healthcare innovations, such as modern healthcare apps and medical alerts, you can visit findreviews.com. I said we were going to talk about this, right? 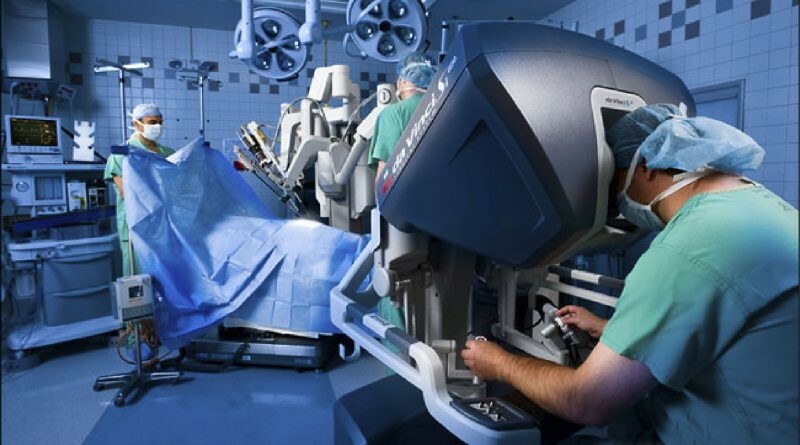 Robot-assisted surgery has been here for awhile, in fact the first robot-assisted surgery was in 1984. It was a robot used in an orthopaedic surgical procedure, and it performed over 60 procedures in 12 months. What’s held back robot-assisted surgery from becoming commonplace is mostly cost factor. Depending on the type of procedure, a single robot can cost upwards $1,390,000 dollars, with a supply cost of $1,500 per procedure. This doesn’t make it feasible for inclusion in your average community hospital. So in many ways, robot-assisted surgery is still in its infancy period, although robots have been used in more procedures in modern times, especially in heart and spinal procedures. 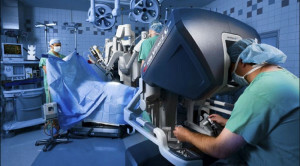 For a more comprehensive overview of the future of robotic surgery, read this article. Virtual reality has been lauded as the new frontier of healthcare training. Surgery simulators have long been used in healthcare training, typically a combination of computer simulation training, and performing surgery on cadavers. Virtual reality adds a heightened sense of immersion and reality that is especially useful for training in delicate surgical procedures – and nobody has to cut up a corpse, which is an overall plus. A growing number of hospitals and universities have embraced VR training, such as Stanford University, the MedVR Lab at USC, and many others. It’s not even the “future” of medical training, it’s pretty much the “now”. This technology is being used in some truly innovative ways, and is perhaps having the biggest impact of all the currently digital innovations available. 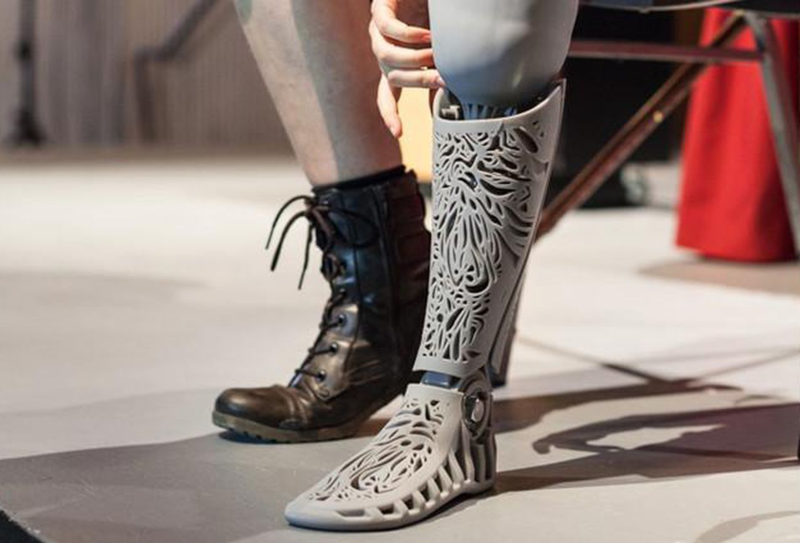 For starters, 3D printing is being used for custom-tailored prosthetics. 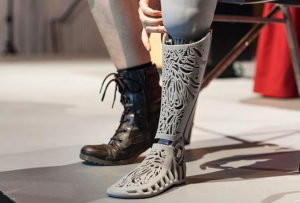 Prosthetics previously were a kind of “one-size-fits-all” industry, with some exceptions, but 3D printing is able to be digitally mapped to the recipient of the prosthetic limbs, allowing for much more comfortable fits, and more natural appearances. 3D printing is also being used in a type of skin grafting procedure for burn victims. Yes, we can now print “skin” for burn victims. Using a skin-like biological ink which contains human plasma and skin biopsy materials, and applying it in the same layer-by-layer method used in 3D printing, researchers were able to print around 100 square centimetres of human “skin” per half hour. Robert Dale has been fascinated in cyber-security for years and firmly believes that with mankind’s absolute reliance on technology, the need to educate and involve the public with cyber knowledge is essential. Hackers will also be looking to exploit people online, and it’s our job to combat that with education and hard work.